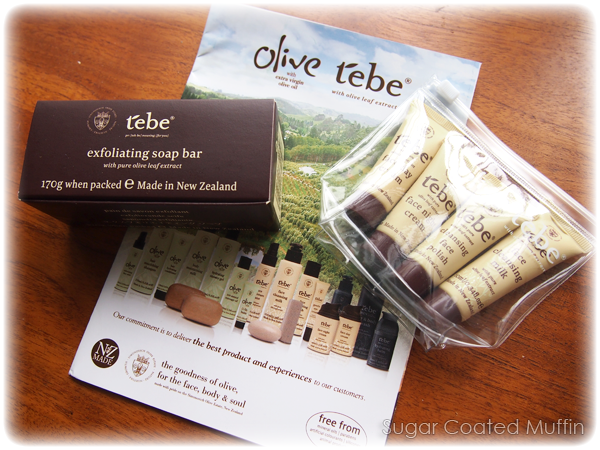 The products are all made in New Zealand and not tested on animals. 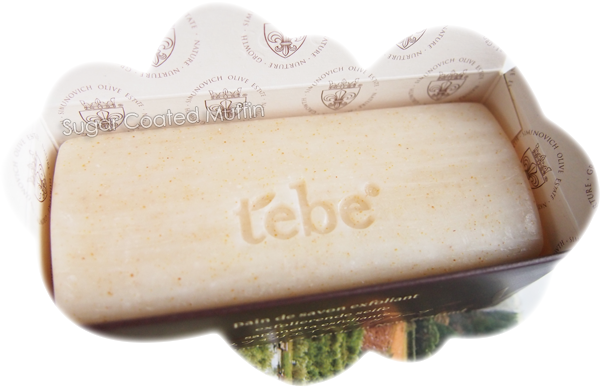 The main product I'll be reviewing today is the Tebe Exfoliating Soap Bar, priced at RM 68 for 170 g.
The soap smells amazing! It has this light and fresh scent that's not overwhelming at all. You can see the tiny brown bits which will gently scrub away dead skin to reveal the newer skin underneath. The formula keeps your skin moisturized too so I haven't had any problems with it despite my dry skin. The size of this soap is quite big so I attempted to chop it into 3 pieces. Unfortunately, it sorta broke into many pieces. 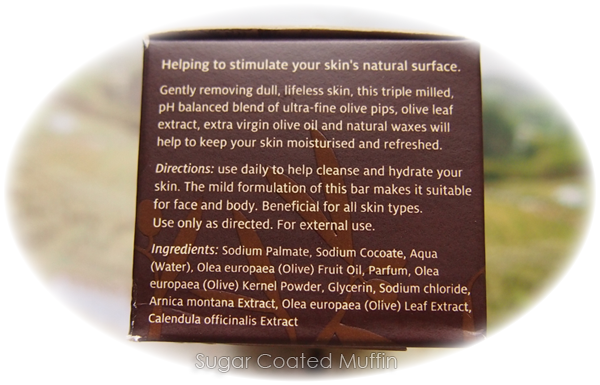 It's really hard and dense, not something that will melt easily which is great since you'll be using the bar directly on your skin. To ensure it lasts the longest, make sure you leave it out to dry after using! If you're not a fan of soap bars, they also have a shower gel but I'm more interested in the shampoo. I also got to try some of the face products! Effectively removes dirt, sunblock, foundation, lipstick and waterproof eyeliner! It doesn't leave any greasiness nor dry my skin out. It is watery enough to soak into the cotton pad instead of just sliding around like some cleansing milks/gels I've encountered. A deep exfoliating treatment to deeply cleanse the skin. 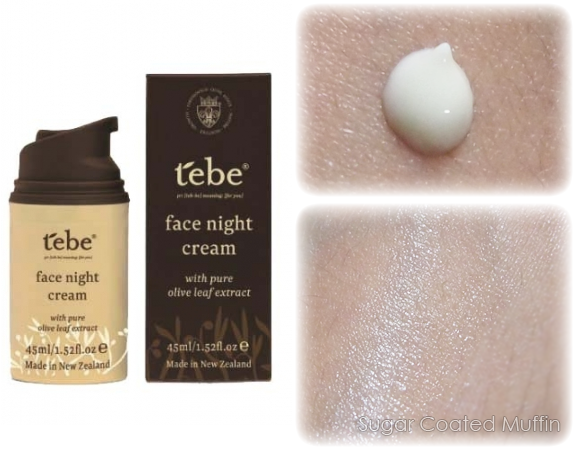 Tebe Face Polish with olive pips and olive leaf extract is a concentrated, deep exfoliating cream. Saturated with nourishing oils, this unique blend helps to remove dead skin cells, excess oil and blackheads, leaving your skin feeling smooth and looking radiant. 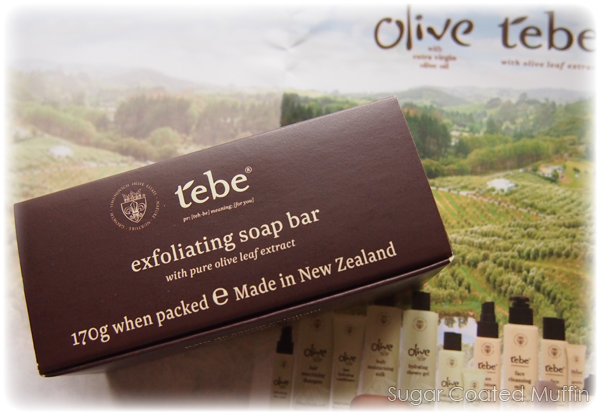 Comes with tiny exfoliating bits which exfoliate efficiently, giving me smoother renewed skin. There are quite a lot of beads so I do feel them working away but use gently to avoid over exfoliating! Only a tiny bit is needed for my face. 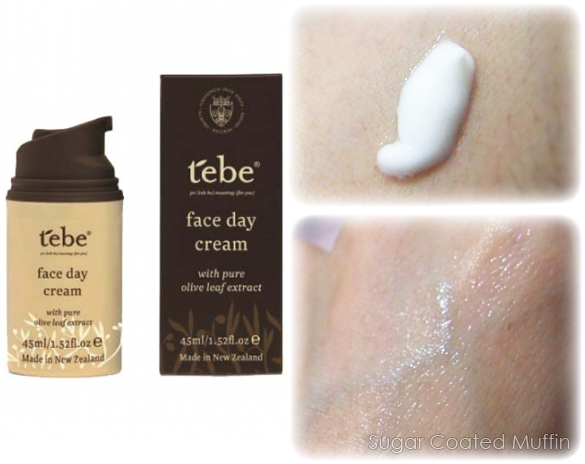 A nourishing cream to hydrate and revitalise the appearance of your skin. Combining natural plant oils, this light, antioxidant rich cream leaves your skin feeling smooth, soft and conditioned, all day long. 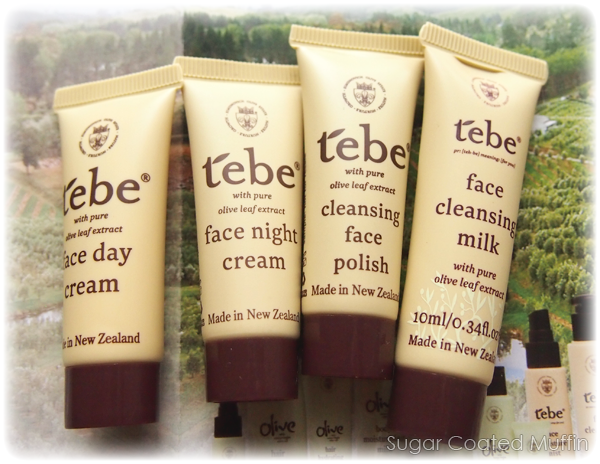 As I have combination skin, I only use a tiny bit of this, spread between my fingers before applying on my face. It melts away like a watery-gel type moisturizer and isn't as heavy as it looks. 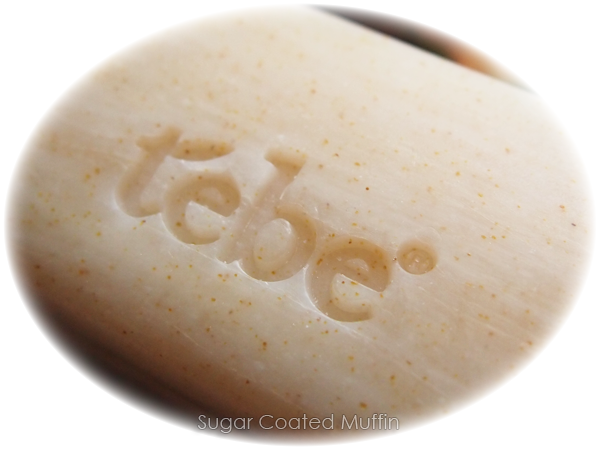 It absorbs completely on my dry cheeks but I do feel it slightly on my T-zone (where I oil up the most). The scent fades after application. Honestly, this feel pretty much like the day cream =/ Probably formulated in a different way to work better at night though. 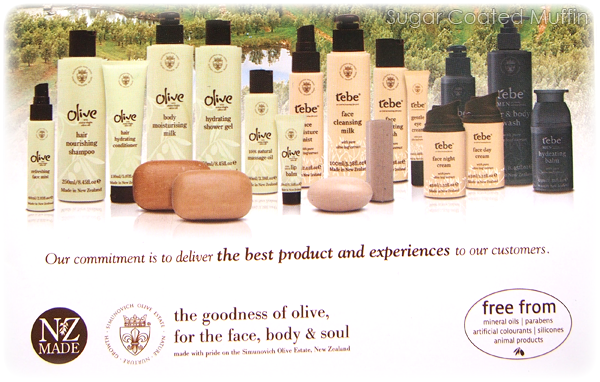 You can find their products at.. Check out their Facebook Page for promotions or contests! Website HERE.